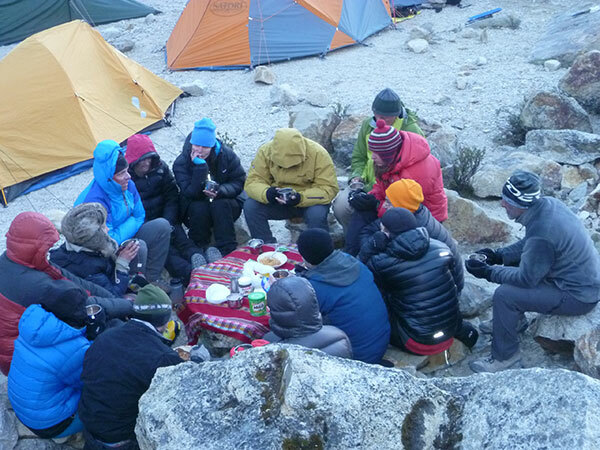 Pisco is an achievable climb for anyone who is well acclimatized and fit and is a suitable climb for novice climbers and also is a demanding climb for experienced climbers. Most of the way is not steep and not technical. There sometimes can be shortPisco Este (Eastern Pisco) is frequented, is a perfect peak to climb both for skilled mountaineers and novices. 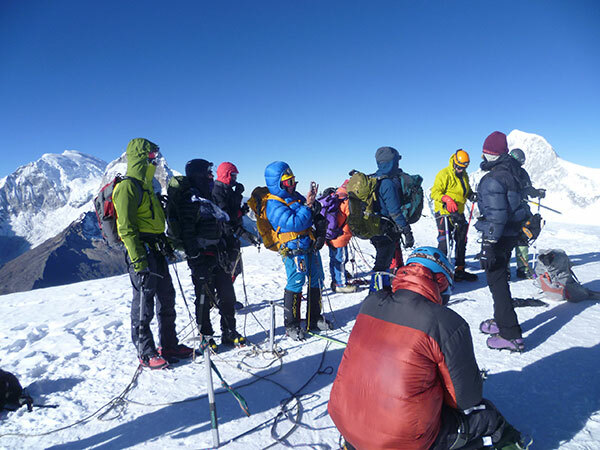 In facts its Normal Route on South-West ridge is frequently climbed in reason of its moderate / easy and its beauty and it is also very popular amongst climbers to acclimatize for over 6000m or more technical ascents.Moreover, the 360 degree summit views over the Cordillera Blanca are a must: besides the Huandoys, the impressive Chacraraju to the East, Chopicalqui, Pirámide de Garcilaso, Artesonraju and Alpamayo to the North; Huascarán to the South. Just a curiosity: the peak took its name from the typical Peruvian liqueur, called “Pisco” from the homonymous town, consumed after the ascent to celebrate. Pisco Climb + Chopicalqui climb at 6,354m. 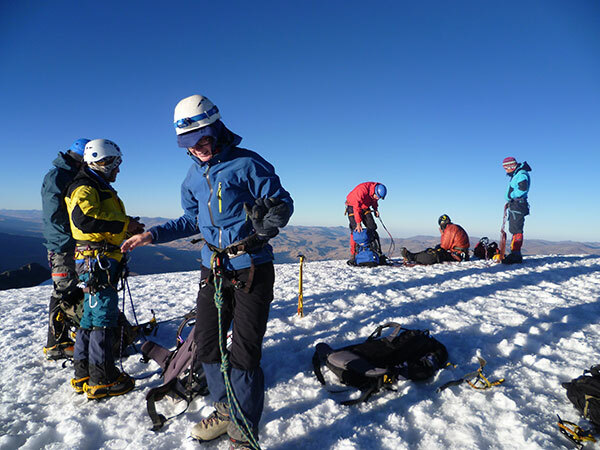 Pisco Climb + Alpamayo climb 5,947m. 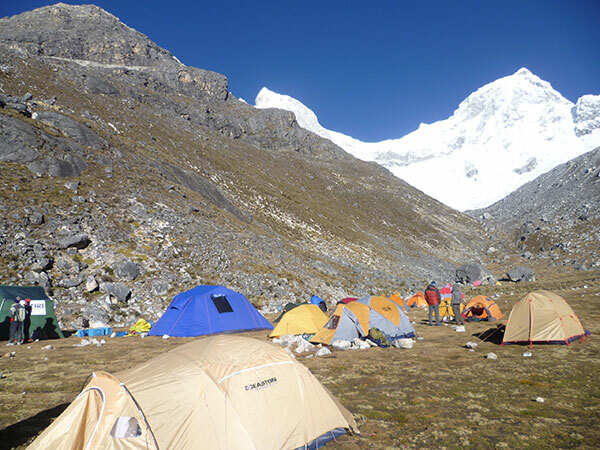 + Huascaran 6,768m. 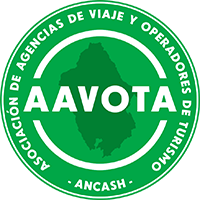 Transfer to the bus terminal for the 8 to 9 hours bus journey to Huaraz, set in the heart of the Cordillera Blanca. Transfer to your hotel. Tour to churup lake at 4,450m. Day 03: Huaraz – Cebollapampa – Base Camp 4,500m. Your summit climb of Pisco follows the occasionally narrow West Ridge. Snow and a little ice leads directly to the top. Pisco is well known for its incredible views, and with strategic view points there will be many opportunites for photographs. The close proximity of the neighbouring peaks of Huandoy and Chacraraju are astonishing. Return to Base Camp. From the Base Camp,. In the morning transfer to the bus station form the bus trip back to Lima and transfer to the airport for your connecting flight home.